TV Movies Themed Slots - Play in Demo or for Real! If you love TV series or movies and you enjoy spinning the slots reels, what better games to play than those based on your favourite films or shows? Multiple leading slots developers have joined forces with a number of famous franchises and have brought famous faces like The Terminator, Lara Croft and Frodo to the reels. TV and movie themed slots are always a smash hit, and the fact that they capitalise on an already popular genre seems to add to their appeal. The characters and logos are instantly familiar, and the games often incorporate storylines that have played out in real life. Some of the more sophisticated video slots even boast cinematic style clips that come straight from the smash hit films they are based on. If you want to see your favourite TV series or film’s characters come to life on the reels, now is your chance! From Star Trek to Bridesmaids, there’s sure to be a game that features your favourites. Click here to read more. 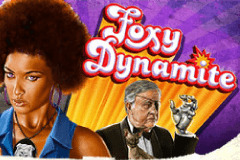 Regardless of whether you love 3 reel classic style slots, slick and sophisticated video slots or slots with progressive jackpots, the chances are there are several options that boast film or TV series’ themes. Developers have joined forces with major motion picture studios and franchises to create games that combine all the thrills and spills of a movie, only on the reels. Licensed games like Creature from the Black Lagoon and Dracula are just two impressive examples, and there are plenty more. The appeal of slots themed around movies is easy to see, especially as there are so many different genres of film. From horror to fantasy, to romance, to space travel, to slapstick comedy, there’s something for every preference. You can opt for the more serious slots, or you can try your hand at those that are filled with fun, or you can enjoy a whimsical, nostalgic trip down memory lane - and down the rabbit hole - with a game like Alice’s Wonderland! There really is a slot to suit ever preference, and thanks to leading developers, you can enjoy them all online. When it comes to online slots with TV or movie themes the game will always have a storyline. Even if the storyline is incredibly simple, it will be familiar to anyone who knows the subject at hand. Some slots have storylines that unfold as the reels spin, while others simply incorporate elements of their theme in the symbols on the reels, the background of the game and the bonus rounds. However a storyline is incorporated into a game, it still adds something extra special, and many players will immediately be attracted to a slot simply because of its TV or movie theme. Games like The Osbournes and Frankenstein bring characters we know and love - or fear - to life on the reels and this makes playing even more exciting. Developers have gone all out in an attempt to bring our favourite characters to the reels, and have breathed new life into old franchises too. As superhero movies have become more popular, so too have superhero themed slots and characters like The Flash, who have their own TV series, are now also immortalised on the reels. With slots that are themed around TV series and movies, the bonus is that there is already a set design and style that simply needs to be carried over to the reels. This means that developers can create backgrounds that tie in perfectly, and that all the symbols on the reels and the overall design emulate the look and feel of what the game is themed around. Thanks to the existing subject matter simply needing to be translated into a casino game, there is plenty of opportunity for special effects to be brought in, cinematic scenes to be added, and bonuses that follow a set storyline to unfold. Quite a number of games feature bonuses that are themed, and X Factor jackpot is an excellent example of this, as its tiered bonus round plays out just like an X factor competition would! For slots developers, the movie and TV theme has grown exponentially over the years. Whereas land based slots were far simpler and didn’t incorporate such intense themes, online video slots have paved the way for what may be termed in their own right as cinematic masterpieces. Exquisite graphics, engaging sound tracks and slick animations are all part and parcel of playing online, and it is not unusual for players to find a familiar face staring out at them from the reels. With so many TV series and movies having being created its only natural that this genre has grown and expanded, and there are several hundred themed games of all sorts and styles available. No matter what your mood or what you feel like playing, there is going to be a TV or movie themed slot that will take your fancy. From spinning the reels alongside the Mad Hatter to exploring ancient tombs with Lara Croft, there are games galore. The quiz shows like Deal or No Deal and talent shows that have become so popular have also made a major impression on the slots world, with Britain’s Got Talent also making it to the world of gaming, and if you can recall watching it on TV, chances are, there is a slot dedicated to it. From animated images to real pictures of the cast of Monty Python’s Life of Brian, just about every familiar silver screen or small screen character you can think of has made it to the exciting world of slots!